Work has started on the construction of a new crane at Warrenpoint Port following a £3 million investment. The investment forms part of a bid to facilitate further growth ahead of Brexit and beyond at Northern Ireland’s second largest port. 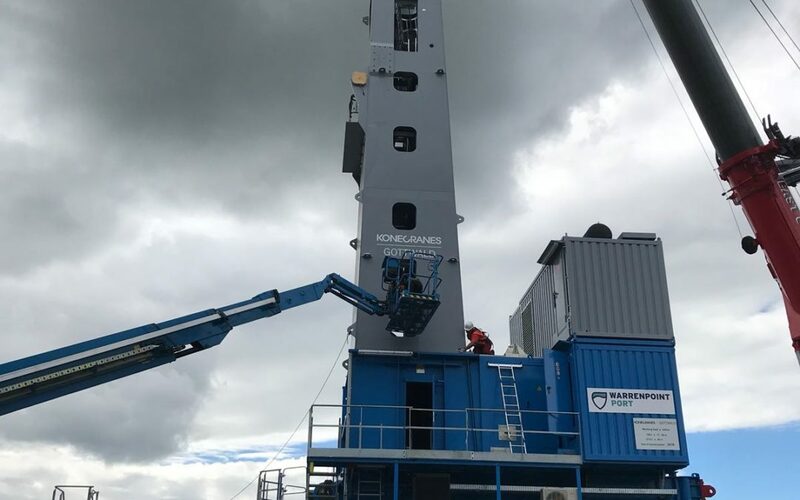 The crane, which is supplied by Finnish manufacturer Konecranes, will significantly improve efficiency by reducing loading and unloading times with the ability to lift 100 tonnes up to 42 meters above sea level. 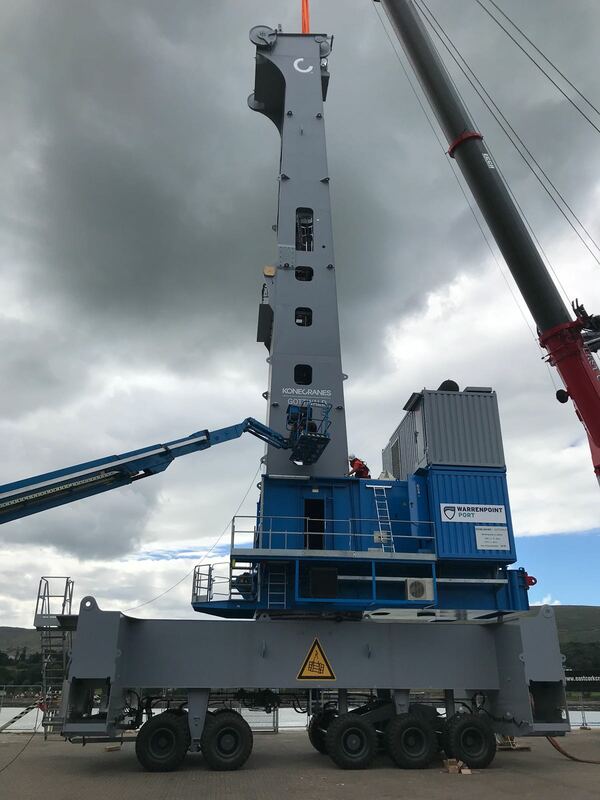 Clare Guinness, CEO, Warrenpoint Port commented: “It is an exciting time for Warrenpoint Port as construction of our latest crane addition begins, enabling us to further improve our already high standards of service to customers. Work has started on the construction of a new crane at Warrenpoint Port following a £3 million investment. Earlier this year, Warrenpoint Port announced a major 25-year growth plan which anticipates core roll on, roll off, freight to rise by up to 80% by 2040, regardless of the outcomes of Brexit negotiations. The crane will take three weeks to assemble and a further two to commission before entering service in September. When complete, it will help the Port, which deals with a variety of goods including steel and timber and offers a full range of shipping services further build on increasing levels of business. In 2017, the Port handed a record 3.56 million tonnes of cargo valued at £6.2 billion. Find out what products and services CraneMarket has for your business.